as your Design-Build General Contractor. quality, safety, and customer service as our top priorities. to learn more about our company. 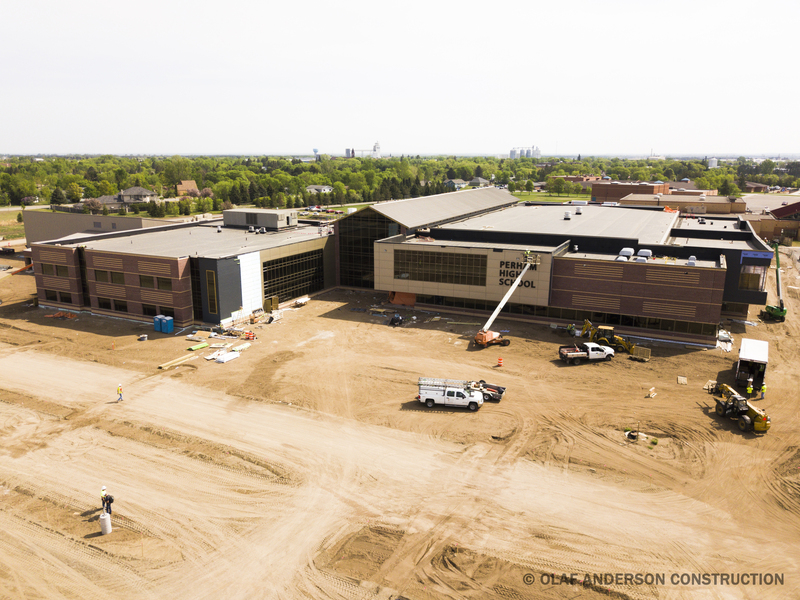 We are happy to see that one of our recent design-build projects is being features as one of CECO's case studies! Thanks Ceco Building Systems. This metal hangar in Fargo, North Dakota provides private plane owners and renters the luxury of a heated hangar, lobby, office space and more. Olaf Anderson Construction shared a post. Thank you Preference Employment Solutions! You were awesome to work with during both the design and construction of the project. CongratulationsWe were honored to have Olaf Anderson Construction stop by this morning as we presented Becky, our Project Manager, with a token of our appreciation. Her dedication to the construction of our new building has been phenomenal. She has put in countless hours over the past year to make our new space beautiful, yet functional. We are going to miss Olaf Anderson Construction--they've become part of our Preference family! Olaf Anderson is working in our building currently at Preference Employment Solutions. This morning wasn't the greatest out and we saw a couple cars get stuck off of 42nd. Two of Olaf Anderson's employees dropped everything they were doing, to help clear a path and push out the cars across the street from our office. They went above and beyond and I was extremely impressed! Plus they've made our building look amazing! 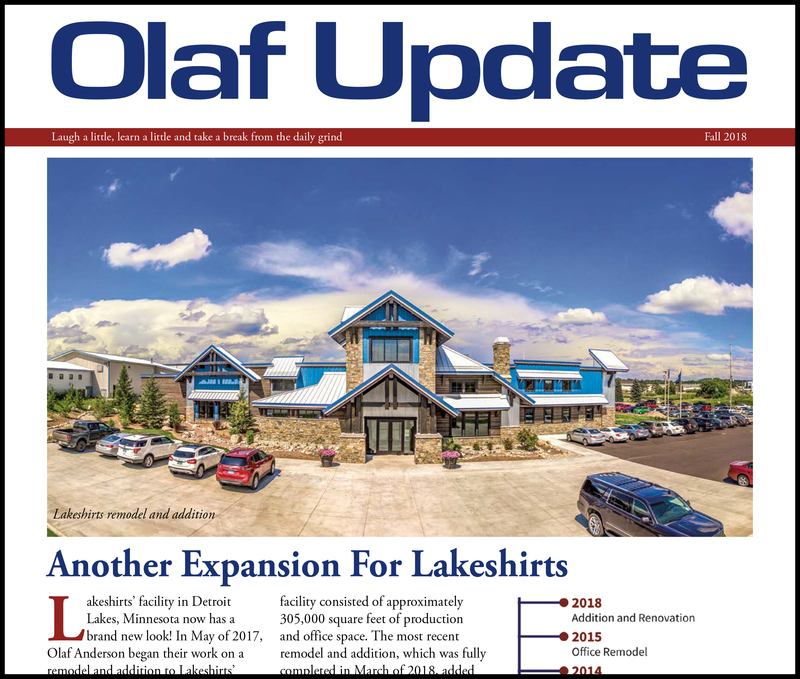 “Lakeshirts’ facility in Detroit Lakes, Minnesota now has a brand new look!” Click "View More" to read the Olaf Update. 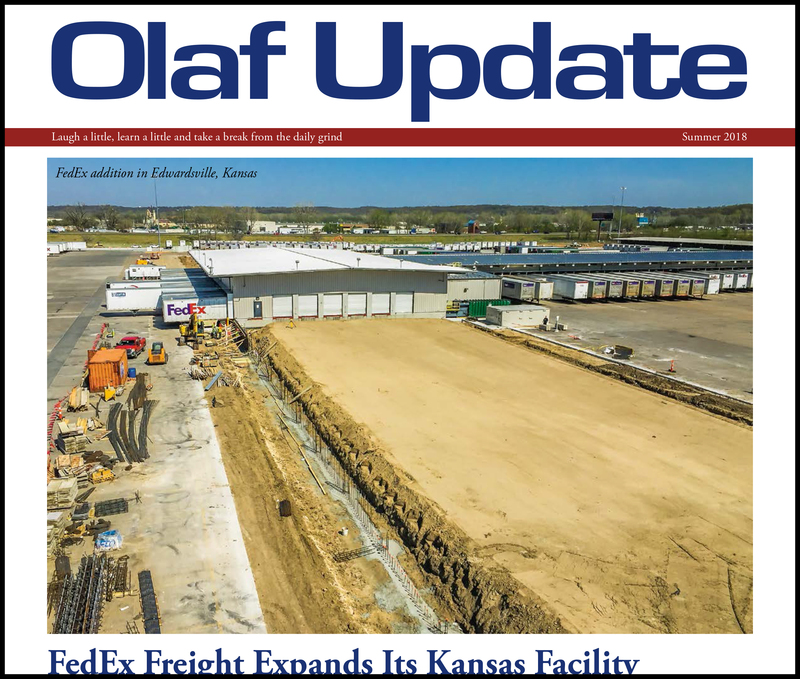 Olaf Anderson has started on its fifth facility for FedEx Freight! 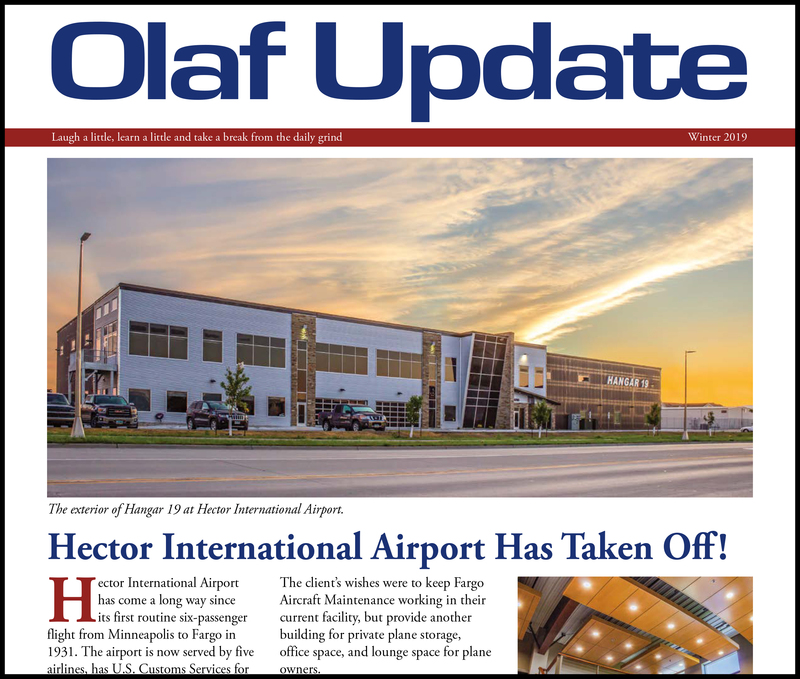 Click "View More" to read the Olaf Update.